Browse: Home / BetterCap v1.1.6 : A complete, modular, portable and easily extensible MITM framework. 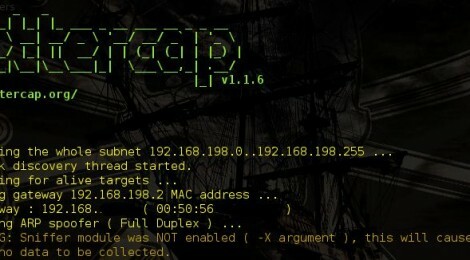 BetterCap v1.1.6 : A complete, modular, portable and easily extensible MITM framework. + Updated hw-prefixes file with latest version from nmap repository. + Using Google fake subject for CertStore::get_selfsigned method ( /C=US/ST=California/L=Mountain View/O=Google Inc/CN=www.google.com ) . + Implemented custom upstream proxy options ( –custom-proxy, –custom-https-proxy ) both for HTTP and HTTPS. + Handling Proxy-Connection HTTP header, fixed Connection header regular expression. + Handling Too many open files. BPF errors inlog BaseAgent class. + Fixed bettercap.gemspec file with required_ruby_version attribute. + Fixed a bug which caused the HTTP response body to be truncated in some cases. + Improved proxy performances disabling BasicSocket reverse lookups. + Improved proxy performances using thread pooling. + Debug log of outgoing HTTP request in proxy module. + Minor proxy code refactoring. + Moved proxy streams logging to dedicated class. + Better networking code with new Proxy::Streamer class. ← netool.sh version 4.6 codename ‘Single_byte_XOR’ released : MitM PENTESTING OPENSOURCE T00LKIT.